This lovely house bookshelf has been made out of a sheet plywood. 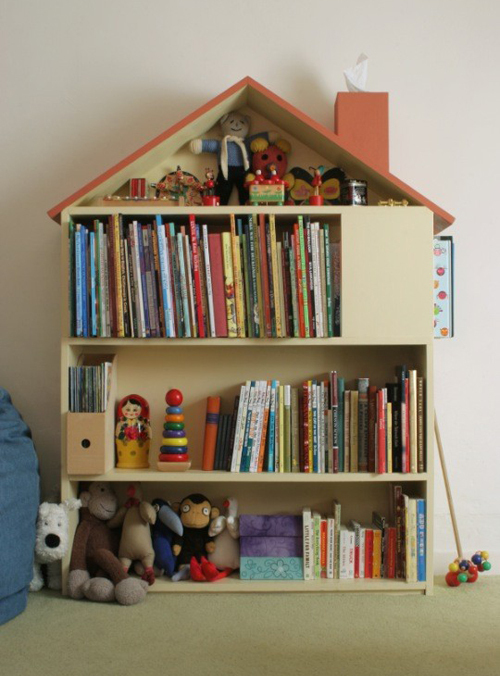 But you can also use a cheap bookcase (for example from IKEA) and turn it into a dollhouse / bookshelf. A fun project to do and not that difficult! Have you seen that tissue box that doubles as a chimney?! So cute. Now if only I knew how to work with wood! Oh My God! Why haven’t I thought of this.. clever and beautiful..